Diabetes is when your body has elevated sugar levels, while gestational diabetes is diabetes diagnosed for the first time in pregnancy. Diabetes happens either because the pancreas makes too little insulin or the body cannot use the insulin it makes to change those sugars and starches into energy. As a result, the body collects extra sugar in the blood and gets rid of some sugar in the urine. The extra sugar in the blood can damage organs of the body, such as the heart, eyes, and kidneys, if it is allowed to collect in the body too long. This is a condition in which the pancreas makes so little insulin that the body can’t use blood sugar for energy. Type 1 diabetes must be controlled with daily insulin shots. This is a condition in which the body either makes too little insulin or can’t use the insulin it makes to use blood sugar for energy. Often Type 2 diabetes can be controlled through eating a proper diet and exercising regularly. 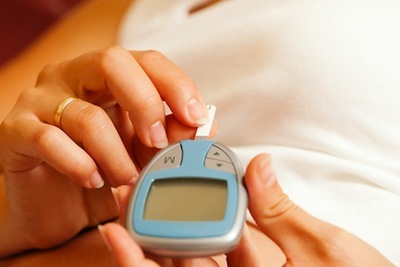 Some people with Type 2 diabetes have to take diabetes pills or insulin or both. Gestational diabetes is a type of diabetes that occurs in a pregnant woman who did not have diabetes before she was pregnant. Often gestational diabetes can be controlled through eating a proper diet and exercising regularly, but sometimes a woman with gestational diabetes must also take insulin shots. Usually gestational diabetes goes away after pregnancy, but sometimes it doesn’t. Also, many women who have had gestational diabetes develop Type 2 diabetes later in life.